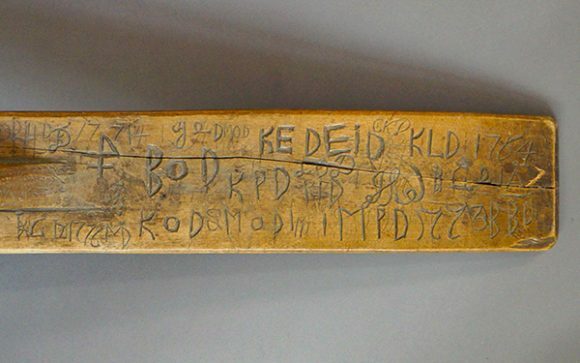 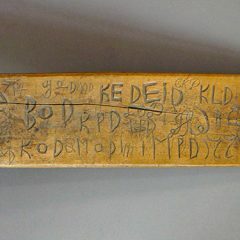 Interesting Swedish mangle board covered with practice carvings, probably mid-nineteenth century. 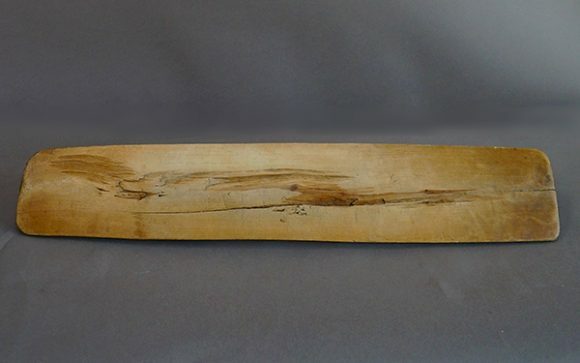 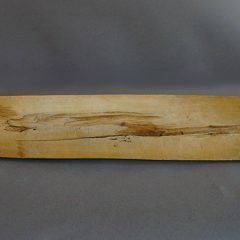 It is carved from a single piece of pine and covered with dates and initials in block and script. 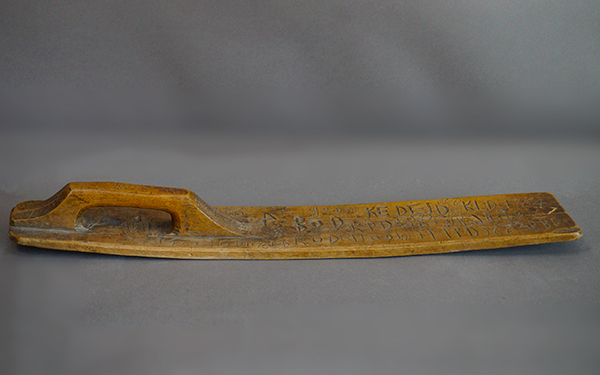 The date 1824 on the top of the handle is only half carved with the scribing of the last two numerals still visible. 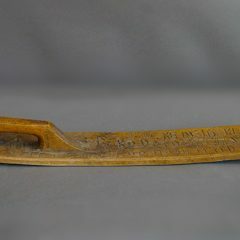 On the handle is also a small section of chip carving usually used for over-all decoration.